The Wisconsin Coastal Management Program, operated under the umbrella of the NOAA National Coastal Management Program, works to preserve and enhance the economic, ecological, and aesthetic resources of state Great Lakes waters. Program objectives include improving the implementation of state statutes, policies, and regulations that affect the coastal zone of Wisconsin, improving coordination of activities at multiple levels of government involved in coastal issues, strengthening the coastal management capacity of localities, advocating for balanced use of coastal environments, and increasing public outreach and participation in the management of coastal areas. The program works towards these objectives in a variety of ways, including federal consistency reviews, grant programs, coastal initiatives, publication of guidance documents, and participation in federal coastal conservation programs. The Wisconsin Coastal Management Program, like other state coastal management programs, works to ensure the consistent application of policies and programs at the federal and state level through a federal consistency review process. This process allows the state to have influence over federal actions in coastal areas such as the construction, funding, or permitting of projects. The Wisconsin Program also works to coordinate coastal zone activities at the state and local level, utilizing a networked approach, meeting regularly with the established Wisconsin Coastal Management Council, and leveraging the location of the program within the State Department of Administration to further management coordination efforts. The Coastal Management Grant Program addresses six main areas of need: coastal wetland protection and habitat restoration, nonpoint source pollution control, coastal resource planning, Great Lakes education, public access to coastal areas, and community planning. Grants have supported a variety of projects throughout Wisconsin’s coastal zone in past years, many of which have a nexus to coastal flood risk management through measures such as water resource revitalization, coastal habitat restoration, or implementation of green infrastructure. Land acquisition grants for at-risk coastal areas were also available through the NOAA Coastal and Estuarine Land Conservation Program (CELCP), for which the state provided matching funds. Other Wisconsin Coastal Management Program initiatives focus on beach management, coastal natural hazards, and environmental impacts of marinas. Program beach management activities include providing education, training, and technical assistance to localities in the form of beach forecast models as well as decision support tools. Natural hazards remain a priority area for the program, with ongoing efforts to develop and implement shoreline and bluff erosion policies. Projects are coordinated across multiple state agencies through the Coastal Natural Hazards Work Group, with USACE and FEMA staff participating as federal partners. The Wisconsin Clean Marina Program encourages responsible decision-making through guidance documents, technical assistance, and educational material such as a best-practices guidebook that address both water quality concerns and issues with marina siting in undisturbed coastal environments. The Wisconsin Shoreland Protection Program, housed within the State Department of Natural Resources, works to further the maintenance of safe and healthful conditions in shoreland areas, defined as lands within 1,000 feet of a lake or pond or 300 feet from a river or stream. Along with objectives of improving water quality and protecting aquatic life, the program also seeks to address building sites, structure placement, and preservation of shore cover and natural beauty. The shoreland program pursues these objectives by publishing minimum shoreland zoning standards for all shorelands in unincorporated areas under Chapter NR 115 of the Wisconsin Administrative Code. Counties are then required to adopt these minimum standards. Shoreland rules and regulations apply to the use of shorelands in unincorporated areas and incorporated or annexed areas with select exceptions, but do not apply to state highway or bridge projects carried out by the Wisconsin Department of Transportation that affect the waters of the state. Minimum zoning standards as part of the Wisconsin Shoreland Protection Program include provisions on minimum lot sizes, building setbacks, vegetation conservation, landscape alteration, impervious surfaces, construction height, and nonconforming structures and uses. These provisions are largely designed to protect water quality, but several aspects of zoning standards have a nexus to coastal flood risk management. A setback of 75 feet from the ordinary high-water mark is required for all buildings and structures unless an existing development pattern exists. Select exemptions to this standard exist for structures such as boathouses, utility lines, and walkways. Vegetation conservation standards require sound soil conservation practices to reduce erosion and designate a minimum 35 foot buffer zone from the ordinary high water mark in which removal of vegetation is prohibited save for select exceptions. Impervious surface standards allow up to 15% of total area as impervious surface in shorelands as a general standard, with 30% and 40% impervious surface area permitted in residential and commercial areas within designated highly developed shorelines. The Wisconsin Department of Natural Resources administers the state’s Floodplain Management Program, the rules and regulations of which are found in Chapter NR 116 of the Wisconsin Administrative Code. Program rules provide a uniform basis of floodplain regulation throughout the state in order to protect public health, minimize public expenditures, minimize relief efforts, minimize commercial disruptions, minimize public facility damage, minimize future flood areas, discourage unwary landowner victimization, and prevent increases in regional flood levels. Municipalities are required to adopt, administer, and enforce floodplain zoning ordinances at least as restrictive as state standards in areas where substantial damage may occur within one year of data publication. The rules and regulations of the Floodplain Management Program contain provisions that acknowledge the comprehensive nature of effective floodplain management. State floodplain management standards can be included in a variety of regulatory mechanisms such as subdivision regulations, building codes, flood insurance regulations, and stormwater management regulations. Administrative rules also allow for various methods of flood risk mitigation, including the use of easement purchases, warning systems, building codes, subdivision regulations, sewage system ordinances, and stormwater regulations. Ordinances must be updated within six months after information on changes in floodplain management statutes, rules, or case law is published or if improved data, technical information, or methods are made available. Information on areas where floodplain regulations apply is disseminated through publicly available maps, which detail areas covered during a 1% annual chance flood event. Mapping standards include a requirement that flood discharges in rapidly urbanizing areas reflect increased runoff from projected future development. The state floodplain management program provides development standards for floodway areas, floodfringe areas, and other floodplain areas including coastal floodplain districts. Wisconsin uses a zero-rise standard for mapping floodways, meaning floodways within the state are full-conveyance floodways. In floodway areas, prohibited uses include any development that may obstruct or increase regional flood levels, structures designed for human habitation, structures not associated with open space use, and wastewater facilities. Permitted uses in floodway districts consist of open space uses with low potential for flood damage such as agriculture or recreation. Accessory structures to open space use are permitted in floodway areas provided that they do not obstruct flood flows, are firmly anchored, and have equipment elevated above regional flood levels. Public infrastructure such as utilities and roads may be permitted if adequate floodproofing measures are employed. State regulations also limit development in floodfringe areas to projects that do not obstruct existing flood flows unless amendments are made to floodplain zoning maps and ordinances, and development may not occur in a manner that increases the regional flood height or discharge. Floodplain regulations require that residential structures located in the floodfringe be placed on fill with the lowest floor at or above the flood protection elevation, defined in Wisconsin as 2 feet above the regional (1% annual chance) flood elevation. Any basement or crawlway floor must be at or above the regional flood elevation and floodproofed to the level of the flood protection elevation, save for communities that have been granted an exception by FEMA. These development standards also apply to commercial uses in the floodfringe. Manufacturing and industrial uses must also be protected to the flood protection elevation level using either fill, floodproofing, or a combination of these measures. Unconnected floodfringe accessory structures, including commercial or industrial parking lots, may have floors constructed below the flood protection elevation, but such structures may not be subject to flood depths greater than 2 feet or flood velocities greater than 2 feet per second in the event of a regional flood. Any public utility or transportation infrastructure in the floodfringe deemed essential to the orderly functioning of the area must also employ floodproofing measures up to the flood protection elevation and must be compatible with local floodplain development plans. Floodfringe development standards are also applied to coastal floodplain areas, with the additional requirement that no development be allowed if structures will be adversely affected by wave runup along the shoreline of Lake Superior or Lake Michigan. Code Chapter NR 116 also addresses nonconforming uses within floodplains, containing standards for modifications or additions to buildings and the use of any building that was lawful prior to the passage of a floodplain ordinance. A nonconforming use or building must be brought into compliance if a nonconforming use is discontinued for 12 months, a modification or addition to a nonconforming building is made that exceeds 50% of the assessed value, or a nonconforming building suffers damages greater than 50% of assessed value. Within floodway areas, no modifications to a nonconforming structure may be made unless granted by a permit, and any permitted modification must be floodproofed by means other than fill to the flood protection elevation and may not increase obstruction of flood flows. Modification of nonconforming buildings in floodfringe areas also requires a permit, with the requirement that the modification be placed on fill or floodproofed in compliance with floodfringe area standards. Variances may be granted for certain cases in the floodfringe where compliance would result in unnecessary hardship. Coastal floodplain standards prohibit any repair, modification, or addition to an existing nonconforming structure that exceeds 50% of the structure’s assessed value, calculated over the lifetime of the structure, unless permanent changes are made to bring the structure into compliance. Wisconsin’s Shoreland-Wetland Protection Program is administered by the state Department of Natural Resources in cities, counties, and villages. The rules and regulations of the program are found in Wisconsin Administrative Code Chapters NR 115 and NR 117, which establish minimum standards for shoreland-wetland zoning ordinances. Zoning ordinances apply to wetland areas within 1000 feet of a lake, pond, or flowage, areas within 300 feet of a river, and areas within the landward side of a river’s floodplain. The program requires that zoning ordinances be adopted within 6 months of wetland inventory map publication by the Department of Natural Resources. Appeals may be made to inventory maps if there are any suspected inaccuracies, and shoreland-wetland rezoning is permitted except in cases where proposed rezoning would have adverse impacts on shoreline protection objectives such as flood water storage capacity, shoreline protection against erosion, and wildlife habitat. Rules and regulations require counties, cities, and villages to establish shoreland-wetland zoning districts based on Wisconsin wetland inventory maps. Permitted uses within shoreland-wetland districts include recreational activities, responsible wild crop harvest, low-impact silviculture, pasturing of livestock, agricultural crop cultivation, duck blind construction, construction of nonresidential structures compatible with wetland preservation, construction of waterfront access structures, establishment of parks and recreation areas, construction of utilities infrastructure, and construction or maintenance of transportation infrastructure. Each of these activities must be conducted without filling, flooding, draining, dredging, ditching, tiling, or excavating wetland areas. All other uses of wetland-shoreland areas are prohibited. Zoning ordinances may not prohibit repair, reconstruction, or renovation of a structure that was compliant with regulations at the effective date of the shoreland-wetland zoning ordinance or amendment; however, if a nonconforming use of a nonconforming structure is discontinued for 12 months, future use of the property and structure must come into compliance with zoning ordinances. Wisconsin construction standards, consistent with the International Building Code, are found within Administrative Code Chapter SPS 321, which provides guidance on construction in floodplains and coastal floodplains. These rules and regulations apply where dwelling construction in floodfringe areas is permitted by local zoning ordinances, regulations of the Wisconsin Department of Natural Resources, and FEMA regulations. For construction in floodplains, the lowest floor and basement floor surface of a dwelling must be at an elevation equal to or greater than the base flood elevation, although basement floors may located at a lower depth if the basement meets certified floodproofing requirements. Enclosed spaces below the base flood elevation may also be permissible for other purposes such as storage of mobile items or stairways, but such areas must contain measures to equalize hydrostatic pressure on exterior walls. These requirements also apply to dwellings constructed in coastal floodplains, which must additionally have the lowest portion of structural members supporting the lowest floor elevated at or above the base flood elevation. Any enclosure within a coastal floodplain located lower than the base flood elevation may not be used for human occupancy, and any non-loadbearing walls in such an enclosure must be designed to break away under wind and water stress. Foundations must also employ pilings and columns that are supported and anchored at a depth sufficient to resist the combined wind and water stress associated with the base flood elevation. Within Wisconsin, comprehensive planning is used as a means to guide the physical, social, and economic development of local governmental units. Plans can be formed at the county, city, village, and town level or at the regional level by a regional planning commission. Comprehensive plans must contain elements related to issues and opportunities, housing, transportation, utilities and community facilities, natural and cultural resources, economic development, intergovernmental cooperation, land-use, and implementation. The natural resources and land-use elements address coastal areas and floodplains most directly. The natural resources element requires that a comprehensive plan be in place to address conservation and effective management of environmentally sensitive areas such as floodplains and wetlands. The land-use element of comprehensive plans guides future development and redevelopment of private property, listing current amount, type, intensity, and net density of uses as well as recent trends and projections for land-use 20 years into the future. The land-use planning element also requires the development of maps depicting current and future land-use, delineating natural limitations for building site development, floodplains, and wetlands among other land use types. All county, city, village, and town zoning ordinances, including shoreland, wetland, and floodplain ordinances, must be consistent with any adopted comprehensive plans. Wisconsin stormwater and runoff management program regulations, found within Wisconsin Administrative Code Chapters NR 216 and NR 151 respectively, are largely focused on water quality and pollution prevention, but select elements have a potential nexus to coastal flood risk. Municipal stormwater permits through the Wisconsin Pollutant Discharge Elimination System (WPDES) require an outreach component that promotes management of shorelines, infiltration of stormwater from impervious surfaces, and environmentally sensitive land development design. WPDES permitting also requires overland flow and water infiltration management practices at construction sites. Listed best management practices for stormwater infiltration include constructed wetlands and vegetative buffers, which may also provide some measure of flood risk reduction. Runoff regulations also require implementation of best management practices designed to maintain or reduce peak discharge rates, address infiltration of runoff, and allow for protective areas surrounding lakes, rivers, or wetlands. Each of these runoff management practices has accompanying performance standards that provide an additional potential nexus to coastal flood risk management. Erosion management is integrated into multiple state programs in Wisconsin. The runoff management program requires that erosion control practices be put in place to stabilize sediment in construction sites, though this provision is primarily focused on preventing sediment discharges that may impact water quality. Runoff performance standards additionally include measures to prevent erosion within runoff protective areas such as maintenance of vegetative cover or riprap along banks with steep slopes. The state stormwater program also has erosion management provisions, again largely geared towards water quality at construction sites but with a potential nexus to flood risk. To obtain a stormwater permit an erosion control plan must meet the same performance standards outlined in the runoff management program. Erosion control plans for storm water permits must include a description of land disturbing activities, site mapping, and documentation of best management practices to be employed, including permanent stabilization practices. The Wisconsin Department of Natural Resources also regulates shore erosion control structures within navigable waters, the regulations of which are found in Administrative Code Chapter NR 328, but standards are only listed for inland lakes, municipal breakwaters, and structures along rivers. Coastal areas along the Great Lakes do not fall into these categories and so these state standards do not apply. Coastal counties within Wisconsin may form their own coastal erosion control measures based on need. Efforts to address the impacts of a changing climate in Wisconsin include the Wisconsin Initiative on Climate Change Impacts (WICCI) and the State of Wisconsin Hazard Mitigation Plan. The WICCI initiative is a joint effort between the University of Wisconsin-Madison and the Wisconsin Department of Natural Resources, representing a statewide network of stakeholders and scientists. The goals of the initiative are to assess climate change impacts in Wisconsin, evaluate risks and vulnerabilities, and recommend practical adaptation strategies for implementation. The work of the initiative is carried out through 15 working groups covering areas such as adaptation, climate, water resources, and coastal communities, with oversight by a science council. The initiative provides resources such as outreach materials and a comprehensive report, Wisconsin’s Changing Climate: Impacts and Adaptation. The report details past changes in Wisconsin’s climate, addresses current impacts across the state, and provides plans of action for implementing adaptation measures. Reports from each working group are also available, such as the coastal community report that provides information on environmental threats, coastal community vulnerabilities, and coastal adaptation strategies. The State of Wisconsin Hazard Mitigation Plan is a publication of the Wisconsin Silver Jackets Hazard Mitigation Team under the Wisconsin Emergency Management Program. The plan outlines the state mitigation planning process, mitigation strategy, coordination of local mitigation planning, plan maintenance process, and comprehensive state mitigation program. State mitigation goals include minimizing disruption from natural hazards, enhancing public awareness of natural hazards and disaster preparedness, encouraging hazard mitigation planning, supporting intergovernmental coordination, and improving the disaster resilience of infrastructure. The mitigation action plan described in the report details a number of actions across multiple government agencies designed to address impacts of climate change, and appendices within the plan also specifically identify climate change as an element of changing future conditions that represents a hazard to the state. The Wisconsin Coastal Management Program’s federal consistency review process provides the state with an effective means to influence federal actions in the coastal zone, alleviating potential conflicts between federal and state programs. The Wisconsin Initiative on Climate Change Impacts is a state-led effort to address climate change impacts and recommend practical adaptation strategies. Conducting such an effort through a network of state shareholders and scientists allows for tailored adaptation efforts and increased state management capacity for future hazards. The Coastal Management Grant Program, administered by the Wisconsin Coastal Management Program, provides support for projects that address implementation of green infrastructure. Administrative rules for floodplain management are flexible and allow alternative mitigation programs such as easement purchases to be used to meet management standards, encouraging use of a broad range of mitigation strategies. Shoreline protection objectives for wetland management include flood water storage capacity and shoreline erosion protection, formally acknowledging the role of wetlands in mitigating flood risk. Stormwater permits issued through the Wisconsin Pollutant Discharge Elimination System promote mitigation alternatives by requiring outreach related to shoreline management, stormwater infiltration, and use of environmentally sensitive land development design principles. Listed best management practices also include constructed wetlands and vegetative buffers. The Wisconsin Shoreland Protection Program includes a 75 foot setback from the ordinary high-water mark as a minimum zoning standard for buildings and structures. Program rules for floodplain management establish minimization of future flood areas and prevention of increases in regional flood levels as goals of the program, making future risks a formal priority. Standards for hydraulic studies used to create floodplain maps require that flood discharges in rapidly urbanizing areas reflect increased runoff from future development projections. Floodplain management regulations require that residential structures in floodfringe areas have the lowest floor elevated 2 feet above the 1% annual chance flood elevation. This elevation is established throughout regulations as the flood protection elevation. The land-use element of comprehensive plans for communities requires identification of current trends in land-use as well as projections of land-use 20 years into the future. The Wisconsin Initiative on Climate Change Impacts address climate change impacts, vulnerabilities, and practical adaptation strategies within the state. The initiative includes a work group on coastal communities that details specific risks and strategies for coastal areas. The State of Wisconsin Hazard Mitigation Plan includes a mitigation action plan that specifies multiple actions across state agencies to address climate change impacts, which are formally identified as an element of changing future conditions that represent a hazard to the state. The state coastal management program provides land acquisition grants for at-risk coastal areas through the NOAA Coastal and Estuarine Land Conservation Program, reducing potential future losses and demand for disaster recovery efforts. For floodplain management purposes, if a developed area is downstream of a dam compliant with state standards it is zoned as though the dam is nonexistent during a regional flood event for high hazard dams, or the area is zoned assuming dam failure during a regional flood for low hazard dams. This allows mitigation measures to be put into place and addresses the residual risk of dam failure prior to a disaster event. The Wisconsin Coastal Management Program has a specific objective to improve coordination of activities at the multiple levels of government involved in coastal issues. The Wisconsin Coastal Management Council and Coastal Natural Hazards Work Group were established to further this objective, building collaboration across multiple agencies and stakeholders into decision-making. Floodplain management standards can be included in a variety of regulations such as building codes, flood insurance regulations, and stormwater management regulations, allowing coastal flood issues to be addressed from multiple perspectives. Community comprehensive plans must contain an element related to intergovernmental cooperation. This formally acknowledges the need for management efforts across agencies, a critical component of a holistic approach. 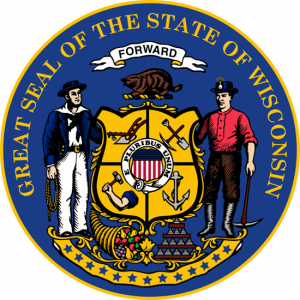 The State of Wisconsin Hazard Mitigation Plan lists supporting intergovernmental coordination as a mitigation goal, recognizing the need to mitigate hazards from multiple levels of government and across agency boundaries.